A fantastic opportunity to acquire one of two, brand new 3 bedroom detached bungalows currently under construction with completion for both units anticipated for May 2019. The development is located at the head of Oakland Road, which was formerly part of the south west garden to number 31. 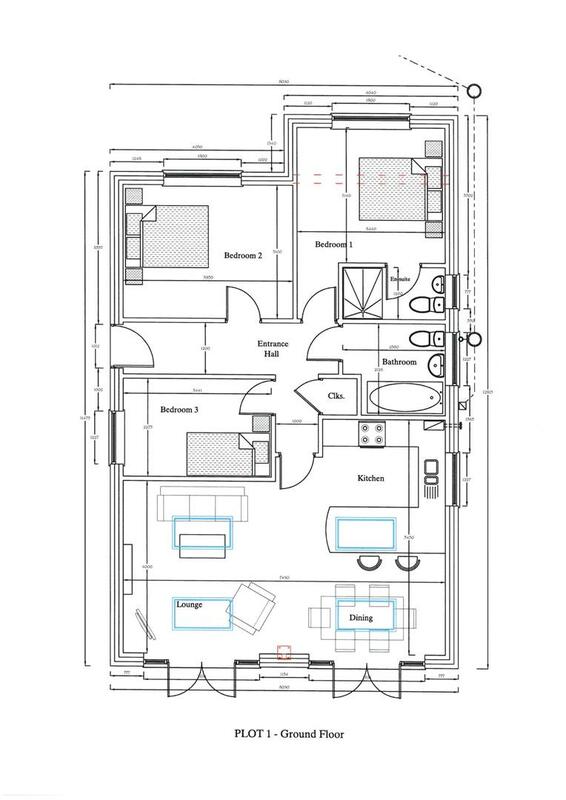 Plot 1 layout of accommodation comprises an entrance hall with cloaks cupboard, and a large vaulted open plan living/dining kitchen with two sets of French doors leading out onto the south facing rear garden. There are three bedrooms, an en suite to bedroom one, as well as a bathroom. Each bungalow will be of brick construction with render detailing (colour options available) to be in keeping with the established traditional homes on the cul-de-sac. In addition, they are built to wheelchair regs, and include gas central heating, UPVC double glazing, and a 10 year Build Zone warranty. Externally, the bungalows stand well back at the head of the cul-de-sac approached by an initial shared block paved driveway with turning space, which leads to private block paved drives and detached single garages for each bungalow. Plot 1 has landscaped front and rear gardens - benefiting from south facing to the rear. This is a rare opportunity to buy a brand new home in a popular Forest Town area, ideally suited to those who require low maintenance single storey living. Buyers who get in early will have an opportunity to discuss with the developer possible layout changes to the open plan living space, and to choose their preferred kitchens, tiling and flooring.